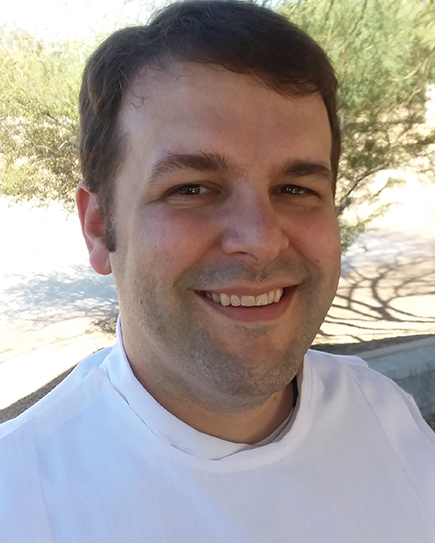 As someone who originally hails from Tucson coming to serve at St. Mark’s has been a blessings for Stuart. In Stuart’s words, “Not only do I get to serve at a wonderful church, but I also get to be closer to family.” St. Mark’s is the second church that Pastor Stuart has served in the Desert Southwest Annual Conference. Prior to his arrival here Pastor Stuart served for a year as the associate pastor at North Scottsdale United Methodist Church in Scottsdale Arizona. Pastor Stuart is a recent graduate of Garrett-Evangelical Theological Seminary in Evanston, Illinois where he received his Masters of Divinity in 2018. He is also a graduate of Cornell College in Mount Vernon, Iowa where he received his Bachelor of Arts in 2007. In his spare time you can often catch him in area bookstores, exploring the beauty of the desert, spending time with his family, or playing with his dog Ginger.